Deconstructing the operations and business model of other companies, whether these are successful or not, is an effective way of understanding business and investing. 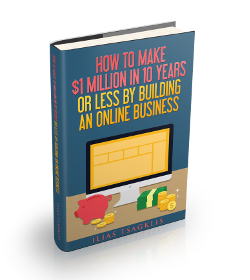 In this post, we will be looking inside a global publishing company with annual revenues of more than $100 Million. 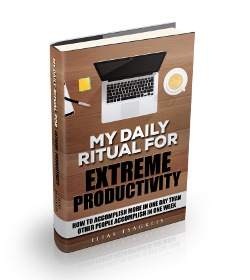 The process I will follow will help you to better understand how to perform due diligence when investigating a company, how to assess business models and how to evaluate business opportunities. This post is going to be a bit more technical than usual, but bear with me, you are going to gain enormous value and enjoy it at the same time. Let’s do it! 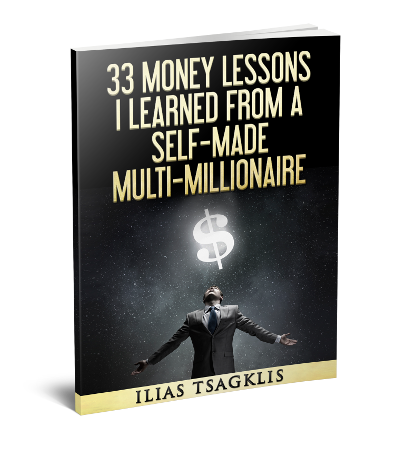 Disclaimer: This case study is for informational purposes only and is not intended to provide specific commercial, financial, investment, legal, tax or accounting advice. The company we are going to investigate is Bloomsbury Publishing, PLC. We are going to use publicly available information from financial and news websites. The company is based in the United Kingdom, so the main financial resource we are going to use is the Financial Times. Also, note that the majority of the financial figures is going to be reported in GB Pounds (£). The reason I chose the particular company is because it operates in the publishing industry, which is dear to my heart, and because it is relatively small in size (in terms of revenues and employee count), so it is more relatable. Fun Fact: Bloomsbury Publishing is the publisher behind the Harry Potter series by J. K. Rowling! 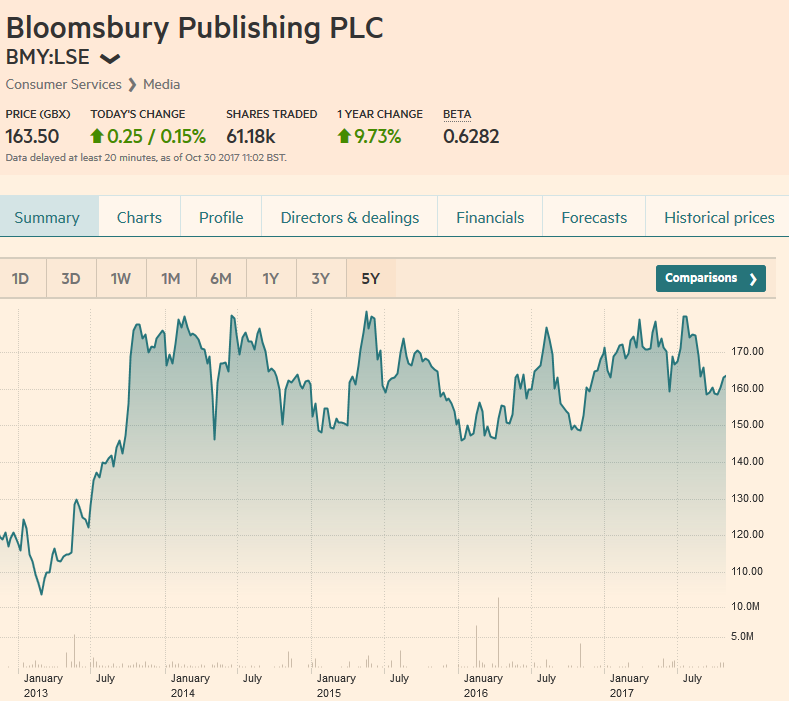 Bloomsbury Publishing is a public company that trades on the London Stock Exchange and as of October 30, 2017, it traded at £163.50, with 75.33m shares outstanding, giving it a Market Capitalization of around £123M. This means that, in theory, you could purchase the whole company by offering £123M to its existing shareholders. In practice, this is dependant on the management’s decision to sell, and even if they agreed, a potential acquirer would have to pay a premium (of around 15-25%) on top of the current price. The next step is to delve into the company’s financial. Digging into the financial numbers will allow us to better understand the health and strength of the business. We read that the company was incorporated in 1986 and currently has an employee count of 606. It generated revenue of £152.01m during the past 12 months, while the Net Income stood at £8.65m. With these figures, we can calculate that the Revenue per Employee stands at around £250K. That is a decent figure, but I would personally prefer to have something on the higher end, to the tunes of £400K. Let’s turn our attention to the Income Statement. 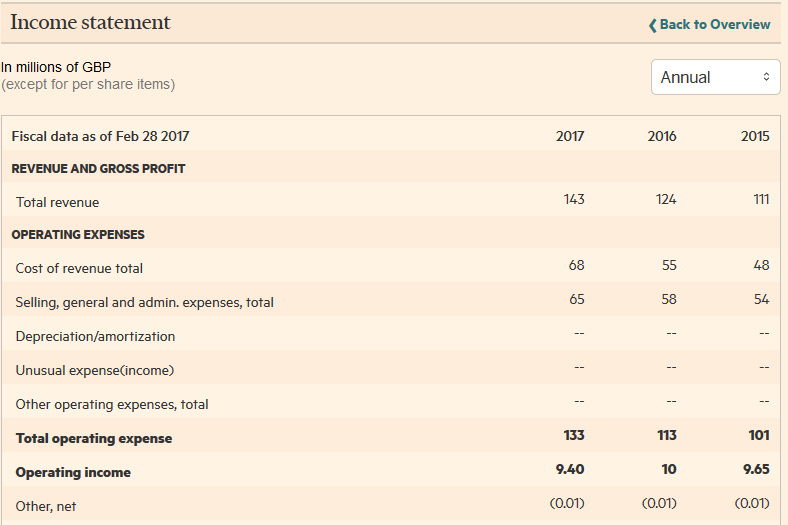 As the FT reports, the company’s Gross Margin was 52.74% (which is decent, but on the lower end), while the Operating and Net profit margins were 7.26% and 5.69% respectively (which are very low). Take a moment to reflect on why the company margins are so low. Did you think about it? Well, if you guessed that the business has not performed a digital transformation yet, you are totally right. The reason is that the company has not adopted a digital-focused strategy and is still relying on the traditional, print revenues, which come with higher Cost of Goods. The company is hanging on its traditional print revenues and is slow at executing on the digital front. In my opinion, this approach does not bode well with the current trends, and management should steer the company’s focus towards digital assets. This inefficiency is also reflected on the various profitability ratios. For example, Return on assets stand at 4.62%, while Return on equity at 6.30% and Return on investment at 6.13%. These are very low figures! On the contrary, Facebook, which is a “pure digital” company and, arguably, one of the best companies ever created, has a Return on Equity ratio value of around 23% (as of June 30, 2017), which is 4 (!) times higher than that of Bloomsbury. Let’s move on to the Balance Sheet. As the FT reports, Bloomsbury Publishing uses little or no debt in its capital structure. In fact, it has paid down all of the debt that used to carry. At the same time, the company has nicely grown its assets from £154m in 2013 to £192m in 2017. This is good but I also believe that the company should embrace a more “asset-light” approach by investing in a digital strategy. In terms of liquidity, Bloomsbury scores a Current ratio of 2.43 and a Quick ratio of 1.87, which are both healthy figures. 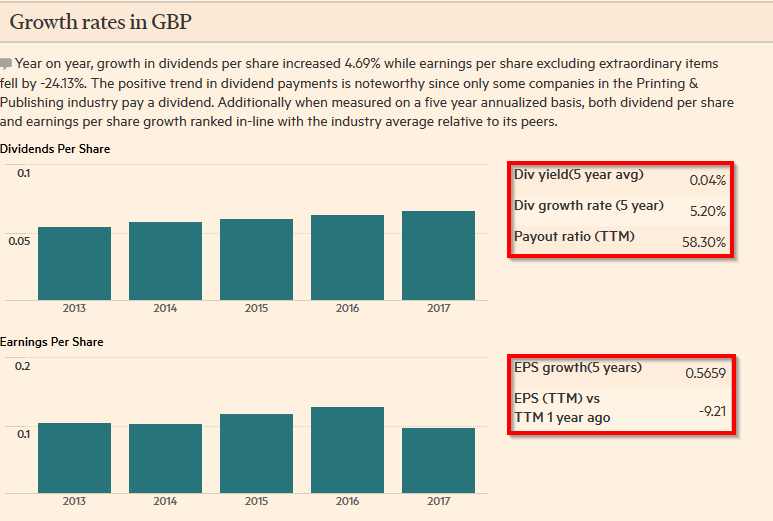 Finally, it is worth mentioning that the company issues an Annual Dividend of £6.75, which corresponds to a Dividend Yield of 4.13%. With Earnings per Share (EPS) at £11.53, we gather that the company has a payout ratio that stands at about 58% of its earnings. Looking at a company’s historical figures is always a good idea when we are trying to assess its present financial health, but also its future performance. By looking at the historical data for the income statement, we see that revenues have grown from £111m in 2015, to £124m in 2016, to £142m in 2017 (estimated). As we see, there is a small growth of around 12% per annum in the revenue figures. On the other hand, Operating Income has remained flat, from £9.65 in 2015, to £10 in 2016, and £9.40 in 2017. As we see, even if revenues are slowing rising, the company is struggling to increase its operating income, which is another way to say that the Return on Assets remains too low. In my opinion, the reason is, again, that the company still has the majority of its operations in the physical books, which is a declining and inefficient industry. At the same time, the company operates as a cash machine where cash is withdrawn out of the company in the form of (increasing dividends), even though the Net Income remains flat, and even a bit erratic. Bloomsbury should take a page out of the Amazon playbook and reinvest some of the cashflow surplus into projects that will guide the company in the new era. This could mean some short-term pain (by suspending the dividend distributions), but in the long term, the investments will pay off and allow the company to grow faster and thrive. If we want to dig deeper into the company’s operations, we need to go to the source and read the annual report. That is a good start, but I would expect them to be a bit more aggressive; it is already 2017! 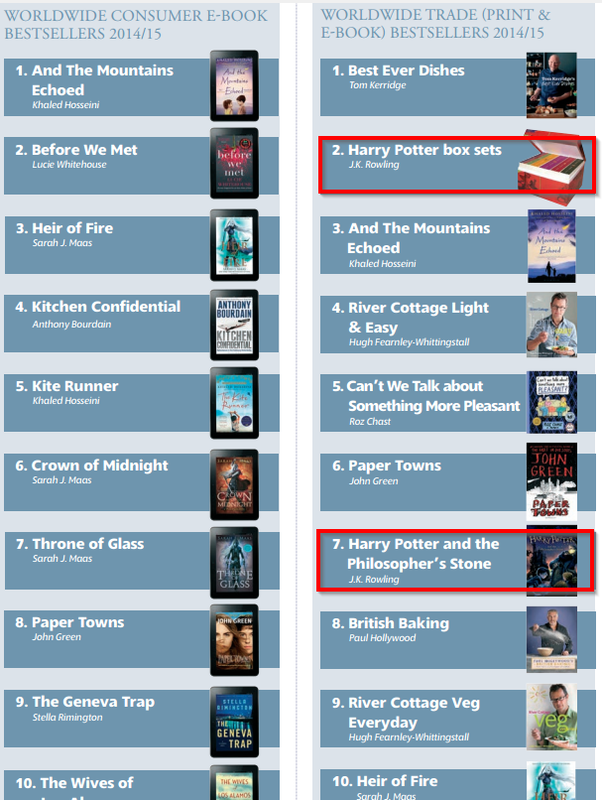 Moving on, we see some of the most popular books, with J.K. Rowling’s novels at prominent positions. There is a treasure of information to be found in the report (it is 160 pages long), but it is a bit out of scope of this article, so I will skip the additional details. Bloomsbury Publishing is a mature company in the publishing industry. It generates annual revenues to the tunes of £120m and a net income of £10m. The company seems to have stalled the past few years, with net income remaining flat, as is demonstrated by its stock price too. The company has only recently began its digital transformation and it is going to take a while until the results appear both on the income statement but also on the profitability ratios. Management needs to remain focus on executing on its digital strategy. On that end, it would probably be wise to retain precious cash and invest it in the business operations, instead of continuously distributing it back to the shareholders. 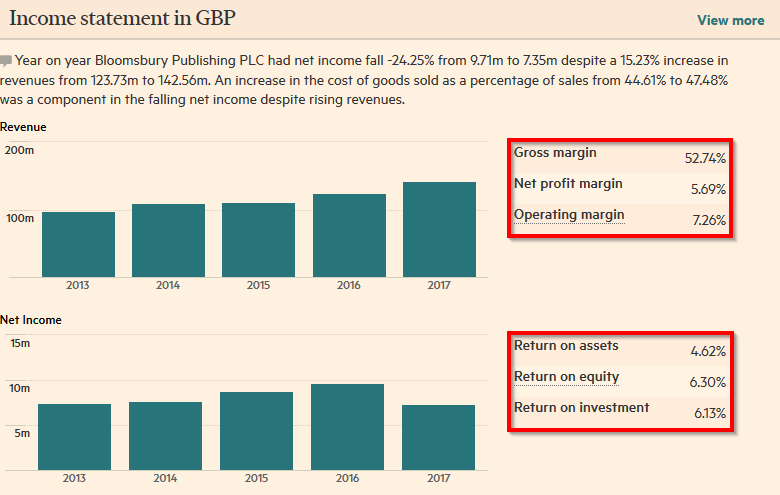 I believe Bloomsbury Publishing has the foundation, infrastructure and people necessary to reinvent itself as a digital publishing house, something that will allow it to blast through the £10m income ceiling that seems to have hit. Interested to see how the future unfolds!